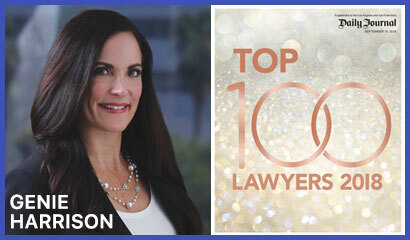 For its list, the Daily Journal takes nominations from all over the state of California and selects the leading attorneys in the state from all categories and specialties of law. Selection is based on achievements in the field of law. The Daily Journal cited Ms. Harrison as a major voice in Hollywood in the wake of recent movements to hold sexual harassers accountable. In a world where #MeToo and the “Weinstein effect” have entered the public lexicon, she (Harrison) senses a shift. “The changes I have seen wrought really emanate from the fact that we’re listening as a society now. It’s not that sexual harassment wasn’t occurring before, but now we’re listening. So, it’s really a movement where victims feel empowered to speak out and hold perpetrators accountable,” she said. 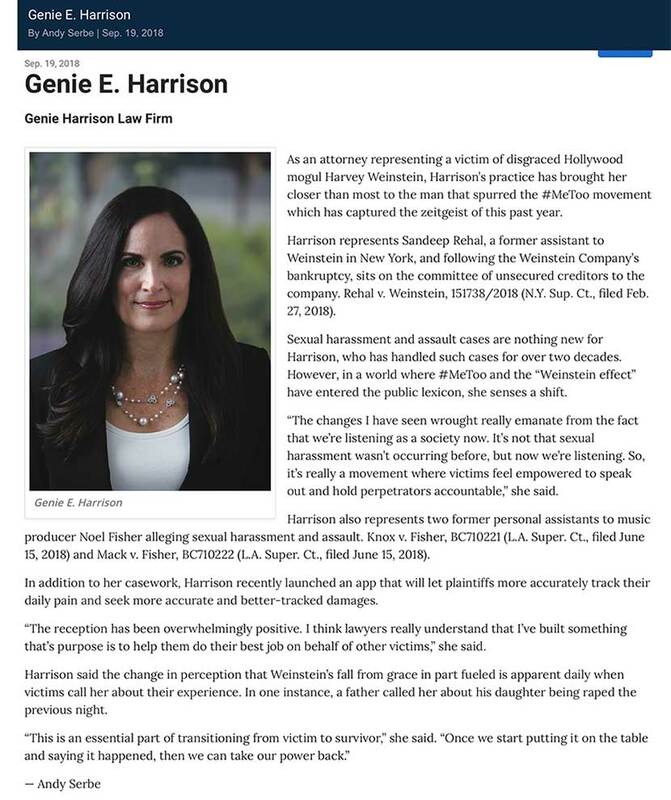 In addition to her casework, the Daily Journal mentioned Harrison’s Damages Genie app that will let plaintiffs more accurately track their daily pain and seek more accurate and better-tracked damages. “The reception has been overwhelmingly positive. I think lawyers really understand that I’ve built something that’s purpose is to help them do their best job on behalf of other victims,” she said.